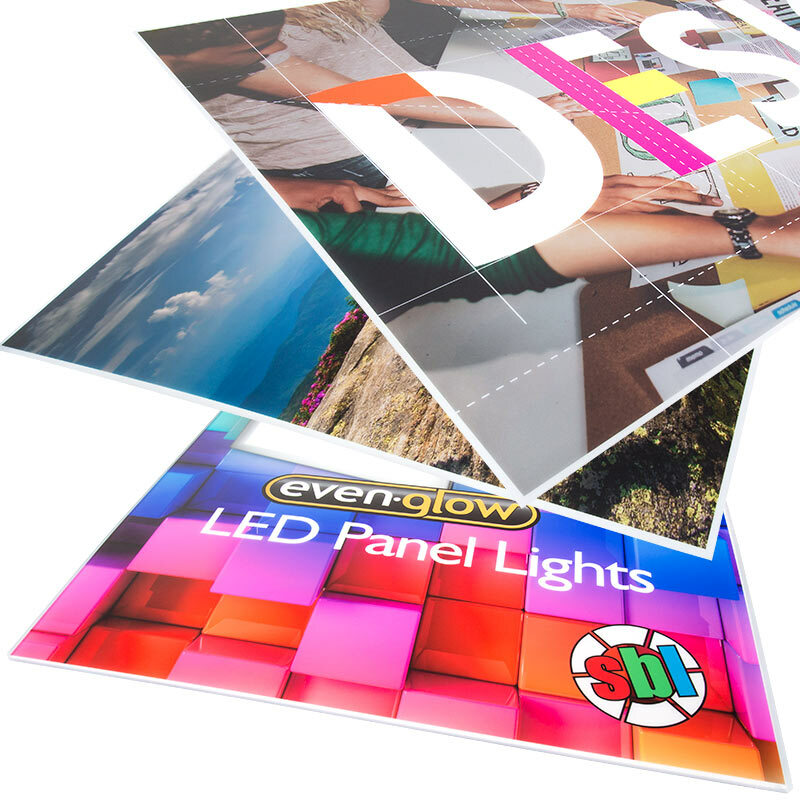 Custom Printed Skylens™ Fluorescent Light Diffuser - Decorative Light Cover - 2' x 4: Showing Various Printed Lenses. 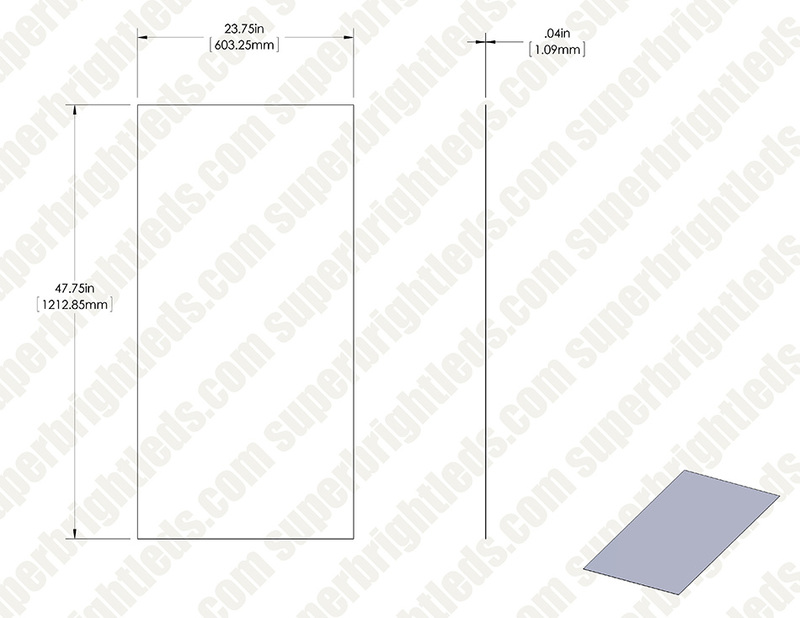 Custom Printed Skylens™ Fluorescent Light Diffuser - Decorative Light Cover - 2' x 4: Panel Being Printed At SBL! 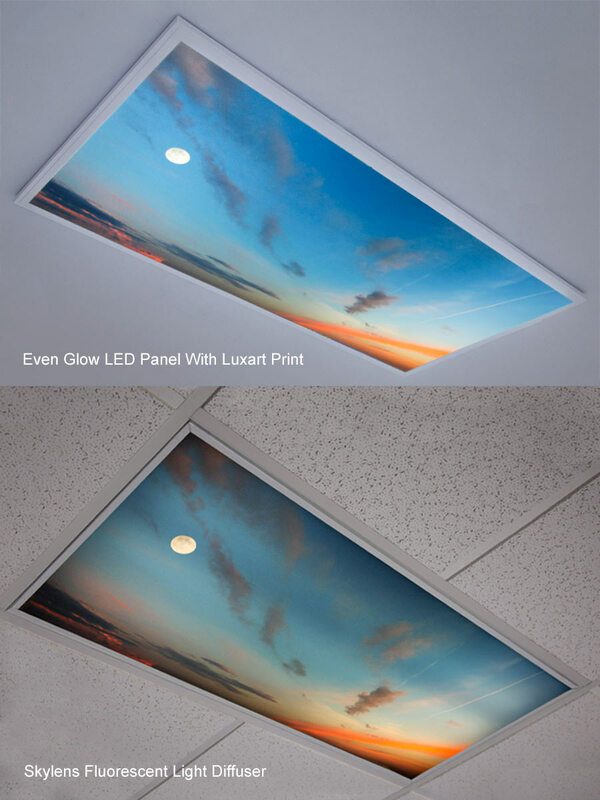 Custom Printed Skylens™ Fluorescent Light Diffuser - Decorative Light Cover - 2' x 4': Showing Even Glow LED Panel (Top) With Luxart Print Compared To Skylens Print Installed In Standard Fluorescent Fixture. Custom Printed Skylens™ Fluorescent Light Diffuser - Decorative Light Cover - 2' x 4': Showing Standard Fluorescent Fixture With And Without Skylens. Easily replace the diffuser in your 2' x 4' troffer light with this custom-printed decorative light cover. 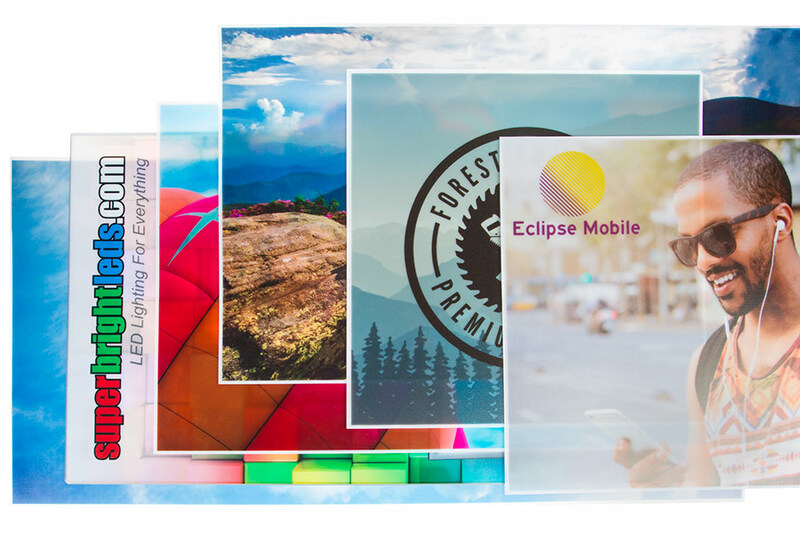 Upload your own image to create an eye-catching display. 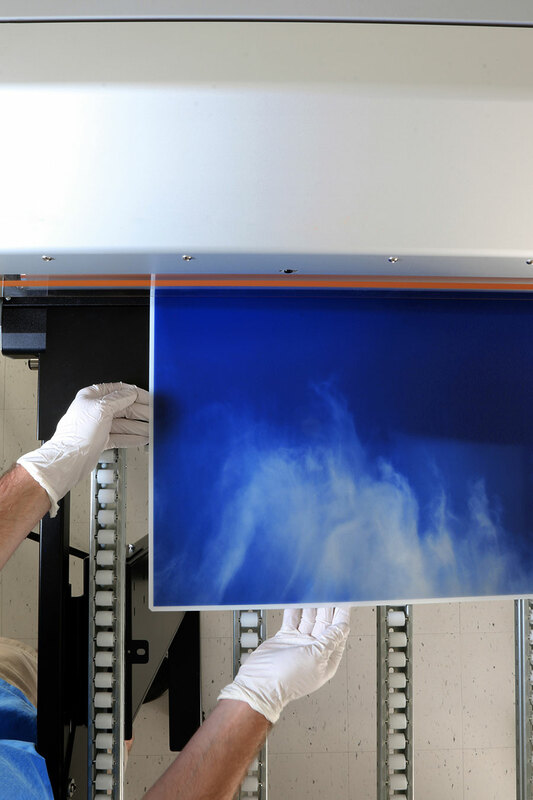 Your submitted image is printed directly on the diffuser for optimum clarity and quality. Simply remove the existing diffuser from your panel light, and mount the decorative Skylens® in its place. The flexible PMMA acrylic diffuser measures 3.98' x 1.98' and can be trimmed to fit your troffer light.